Visualization, a potent form of imagination, liberates us from current realities and opens us up to the limitless potential of a human life! The special Thanksgiving show will feature “miracle man” Billy Billimoria who endured and overpowered a life-ending sentence of stage 4 of kidney cancer using some techniques he will share for the very first time ever and only with the See2B audience. 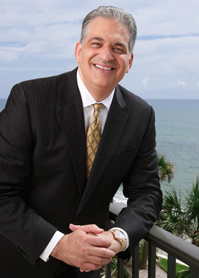 Bob Burg, best-selling author of The Go-Giver, Go-Givers Sell More and critically acclaimed book Endless Referrals: Network Your Everyday Contacts Into Sales has sold over 200,000 copies world-wide. Bob is a founding board member of Club 100, a charitable organization focused on helping underprivileged local area youths. See2B’s special guest who will appear twice in December is Khaliq Grover (Khaliq-O-Vision), is a Grammy award winning sound engineer who has worked with the likes of Michael Jackson, Justin Timberlake, Kenny Rogers, Quincy Jones and other gods of the music industry. As a child, Khaliq was living a life of poverty and hopelessness and credits his success to a purpose-driven visualization, reinforced with his dedication to music. “By designing and living a wonderful legacy, Khaliq’s story resonates with all of us as a shining example of an individual who has turned his dash into an infinity”, says Adil. 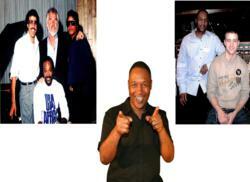 Khaliq's how will also air on The Amazing Men of Power radio station several times between November 2 to November 13. See2B Radio will top off a very successful 2012 with speaker and author Izzy Gesell, a child of holocaust survivors, who himself faced and overcame a formidable foe: cancer. Izzy defended himself using laughter and humor which he learned through comedy Improv. Izzy will do a 2-part show, sharing not only his positive message but also demonstrating some fun-filled and simple techniques which can transform individuals, families, corporate leaders and even organizations. Since the launch of See2B in the summer of 2012, Dalal has inspired listeners to unleash the Power of Visualization™ to realize their true potential. In addition to being a radio personality, Dalal is a successful entrepreneur, author, and keynote speaker who has been invited to various conferences and talk shows to share his wisdom and insight on living and leaving a legacy. Audience members from all over the globe are calling See2B an “amazing” and “motivational” program; and host Adil Dalal has been recognized by listeners for his inspiring message of self-fulfillment. One international listener commented “We all need to listen to motivational speakers like Adil Dalal, to help us grow and flourish our inner selves. Thank you for bringing this to the public." See2B Radio airs every Friday at 11:30am CT and later at 5:30CT on Amazing Men of Power Radio network powered by Raven International at http://www.amazingmenofpower.com. You can also listen to shows aired weekly starting Fridays at 11:30 AM at http://www.See2Bradio.com. 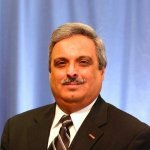 More information about Dalal’s exciting guests can be found at the See2B Radio website at http://www.pinnacleprocess.com/see2b-radio.html. To be a guest or a sponsor on the show visit the website or contact host Adil Dalal at adil@pinnacleprocess.com.